ISI intelligence agency documented destruction caused by air strike in western Syria attributed to the Israel Air Force. A report by the ISI intelligence agency reveals the damage caused by the air strike in Syria that took place early Saturday morning and was attributed to Israel. Satellite photos show that a factory for the manufacturing and precision of surface-to-surface missiles, which was built as part of the Iranian missile precision project in Syria, was destroyed in the air strike. According to a Channel 13 News report, no means to manufacture warheads, engines or launchers were seen in the area. The report noted that Russian S-300 and S-400 air defense batteries were deployed in the area, but did not say whether they were damaged. A military source told the official Syrian news agency SANA that fighter jets attacked military bases in the city of Masayef, in the province of Hama in western Syria. At least two people were killed in the attack, 17 were injured and heavy damage was caused to buildings. 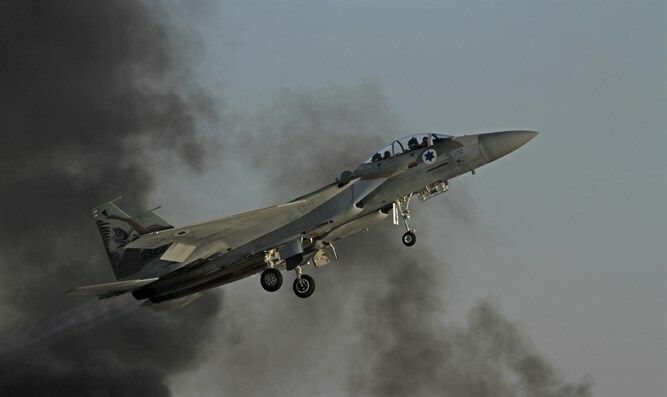 Israel is believed to have carried out hundreds of air strikes in Syria against Iranian and Hezbollah targets in recent years. In late March, Syrian media claimed that Israel attacked targets near the airport in the city of Aleppo. In February, official Syrian media outlets claimed that Israeli tanks had opened fire on positions in Kuneitra on the Syrian side of the Golan Heights. Subsequent reports claimed that the attack was an Israeli airstrike and that it killed two members of Iran’s Revolutionary Guards. Israel did not comment on the reports.